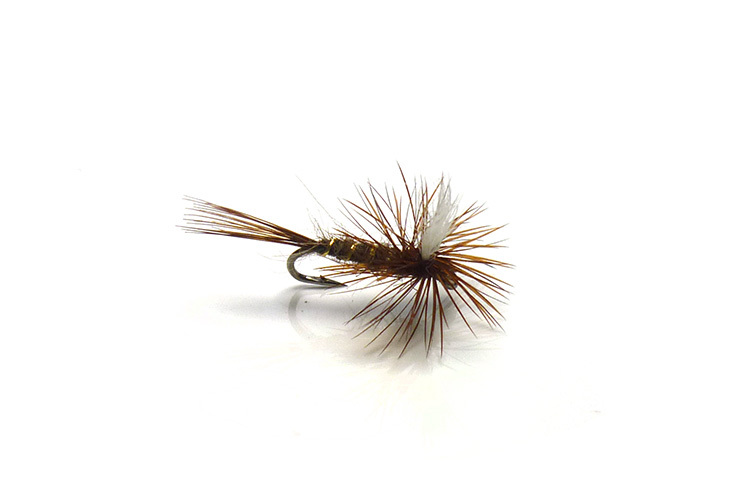 The Hare's Ear Parachute Dry Fly is a classic parachute dry fly pattern that is extremely productive, particularly in slower to medium currents. Hare's ear parachute dry flies ride low in the water to give a natural low profile on the surface. Fish these parachute dry flies during a hatch of mayflies and when trout are sipping duns from the surface film. The Hare's Ear Parachute is a great dry fly pattern for when natural insects are just emerging on the river or lakes surface.